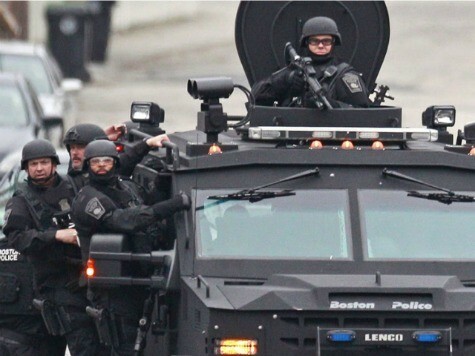 SWAT teams and similar law enforcement tactics are an integral part of effective policing. In the battle against violence, gangs, and terrorism, they are law enforcement’s most potent weapon, and over the years have saved many innocent lives. The FBI, which has earned the reputation of the world’s best trained, most professional, and most effective law enforcement agency, has used SWAT-type tactics since the Al Capone days, often stopping crime and criminals in their tracks. But SWAT teams at the IRS? The Fish and Wildlife Service? EPA? NOAA (they predict the weather)? They all are reported to use them, often to enforce obscure and unintelligible regulations. Each time they do, it makes it more difficult for the FBI and urban police departments to effectively fight real crime. In one outrageous example, a couple of weeks ago nine agents from the Wisconsin Department of Natural Resources, together with four deputy sheriffs, all armed with assault weapons, raided the Society of St. Francis in Kenosha, Wisconsin to retrieve an abandoned baby deer named Giggles (you cannot make this stuff up). After shooting the defenseless fawn, the officers carried it out in a body bag. “It is just our policy,” explained the head of the assault unit. A couple of things going on in America are dramatically increasing the possibility of violence in these situations, which in the process undermines public support for legitimate law-enforcement tools. The first is the use of SWAT teams to serve search warrants on nonviolent offenders, enforce evictions, and otherwise get involved in cases where the use of force is unlikely to be necessary. The second is the growing use of SWAT teams and paramilitary tactics by government agencies that have no business employing such methods. As mentioned, these include the Department of Education, the Department of Energy, the National Fish and Wild Life Service, the National Park Service, and, perhaps the worst of all, the hated Internal Revenue Service. The last thing this country needs is gun-toting government bureaucrats with battering rams as they carry out a liberal agenda. Not only is this level of force entirely inappropriate for such government agencies in a free society, but it is almost certain to empower untrained amateurs to make huge mistakes with deadly consequences. Consider the case of Kenneth Wright. In 2011, an Education Department Inspector General’s Office SWAT team broke down his door because of unpaid student loans. Wright was at home with his young children. He was grabbed by the throat, dragged out of the house wearing his boxer shorts, and handcuffed. Wright’s children, aged three, seven, and eleven, were then placed in a squad car while the government conducted a search of his home. “All I want is an apology for me and my kids and to get a new door,” Wright said later. The Education Department, using predictable bureaucrat-ese, later argued that the Inspector General’s Office is semi-independent, so it wasn’t really their SWAT team that conducted the search. They also claimed the issue was more complicated than unpaid student loans. But the bottom line was a government entity not involved in law enforcement broke down the door of a man with no prior criminal record early in the morning while his children were at home. South Carolina Republican Rep. Jeff Duncan, who chairs the House Homeland Security oversight subcommittee, came back from a May tour of a federal facility concerned about what he saw: IRS agents training with semi-automatic weapons. “I think Americans raise eyebrows when you tell them that IRS agents are training with a type of weapon that has stand-off capability. It’s not like they’re carrying a sidearm and they knock on someone’s door and say, ‘You’re evading your taxes,'” he added. That would be the same IRS implicated in improperly scrutinizing the applications of Tea Party-aligned nonprofits groups; the same IRS that is hiring 18,000 new agents to enforce the obscure and Byzantine provisions of Obamacare. How many Americans would feel comfortable with AR-15-wielding IRS auditors digging through their files and roaming around the streets? This is big government, Obama-style big government, and hardly what the framers had in mind.